When you’re managing a new team, there’s a lot of uncertainty. Will they like you? Will everyone get along? How was their last manager? Are they a talented team? Starting anything new is always hard, and when you involve multiple other people, personalities, and habits, it ups the difficulty level significantly. As a manager, you need a strong relationship with your team, which starts by building rapport. There are many different ways to do that, and these 3 questions can help you start the best way possible. 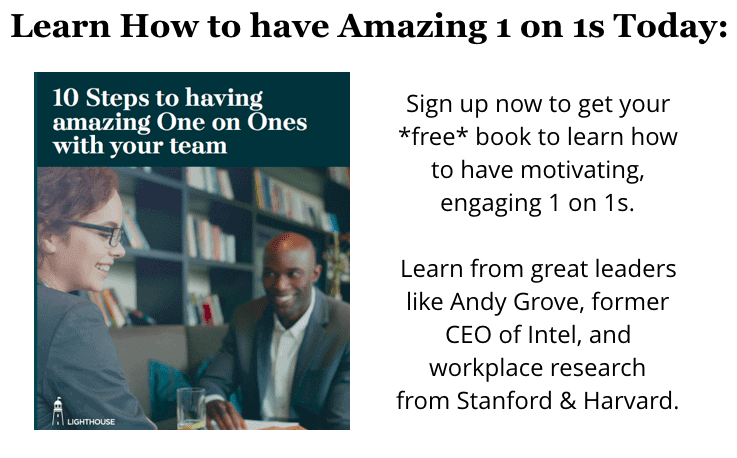 As soon as you start managing a new team, you should start having one on ones with them. It gives you a consistent, private, candid line of communication with each team member. Specifically when you’re starting out building your relationship with each of them, these questions can spark priceless conversations that are perfectly suited for your one on one meetings. Especially on a large team, you’ll be surprised how often what one person hates doing, another person will love. By getting to know the work that excites them most, you can make it much more likely people get to work on things they enjoy at least part of the time. You can also then avoid the dreaded situation where you assign work to one person who hates it and another person wishes they could have that task. The sooner you find out your team’s strengths and work they enjoy, the sooner you can start maximizing their potential and that of your entire team. When you’re starting out managing a new team, the easiest way to discover those strengths and work interests is to ask. This question will instantly give you credibility with your team and shows you care. Whether their last manager was saint or devil, they’ll provide valuable insight for you. The best thing you can do when starting managing a new team is to get their buy in and trust. From there, the promises you keep, and the things you deliver on for them will help keep your team bought in to you as their leader. Asking what their past managers have done well or poorly is a great way to start building a great foundation for working with them. Want to start building great, productive relationships with your new team? Then sign up for a free trial of Lighthouse and build the right habits to lead & motivate your people from day 1. One of the biggest challenges companies face when they do re-orgs or have management changes is the subsequent morale drop that afflicts most teams. Morale is damaged for a variety of reasons including a fear of change, no longer working with people they liked, and having to start over on the relationship with their manager. What’s also hurt is each team member’s career growth. A person’s manager is often the most important advocate for their promotion to a new job. Thus, when they change managers, they are starting over on the process of being considered for their next role. Like losing all your progress in a video game, this can be very frustrating and demoralizing. Pick up where they left off. 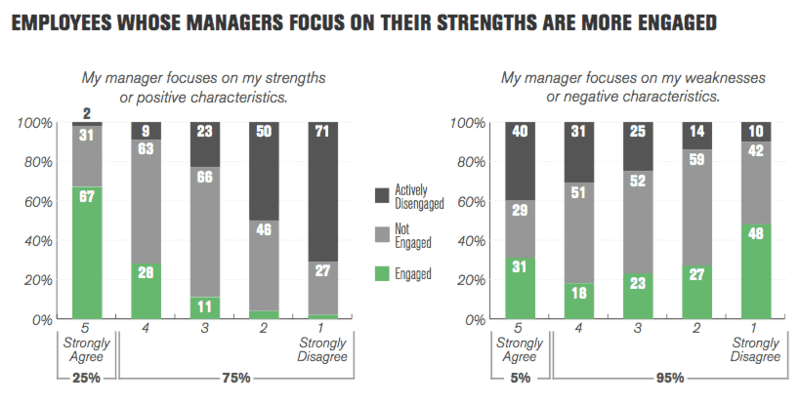 As their new manager, asking about their goals and learning what progress they have already made with their last manager can go a long way towards minimizing any negative feelings. This is why no amount of perks (one of the key types of “maintenance factors”) will ever keep your employees retained on their own. When growth and achievement is interrupted by reorganizations or simply management not caring about them, employee attitudes will shift negative; they will then start looking for flaws and reasons to be unhappy at your company. Not surprisingly, that can start a death spiral where employees reinforce this attitude with one another until they begin leaving in rapid succession. 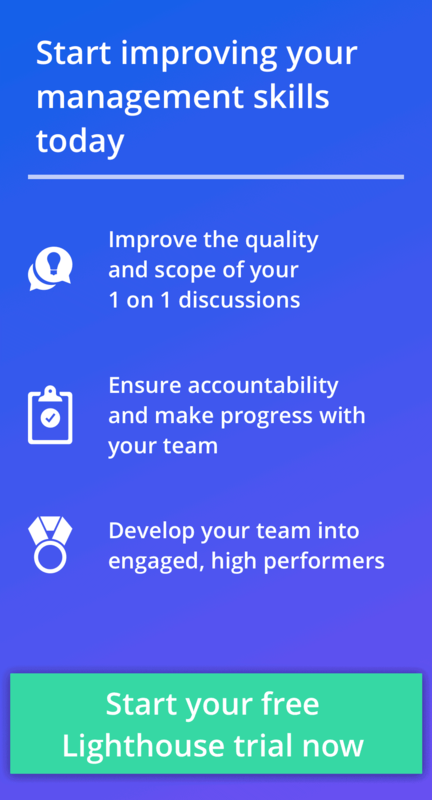 Given all the uncertainty and concern having a new manager can bring to your new team, picking up the conversation on their growth and goals can ensure any loss of momentum on their key motivators is as short-lived as possible. A few questions make all the difference. Starting out managing a new team is never easy, but if you use these 3 questions, you can build trust, boost morale, and show your new team you care about what’s most important to them. Want help? 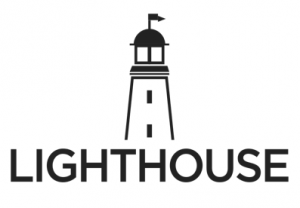 If you’re looking for help to stay organized on what matters most to your team, receive timely reminders and structure for these crucial discussions, and more, sign up for a free trial of Lighthouse. It’s trusted by managers around the world to help them motivate and retain their teams.